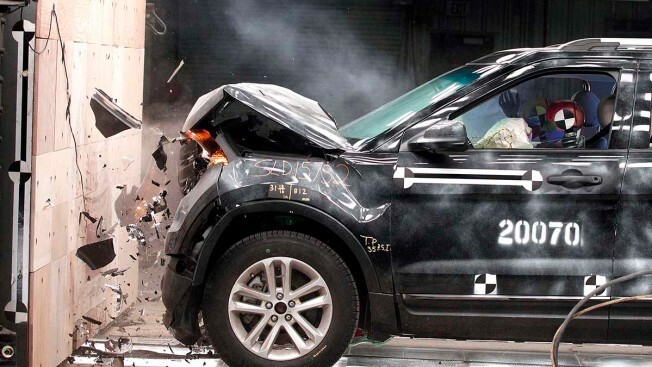 In this file photo, a 2014 Ford Explorer XLT performs a full-frontal crash impact test into a wall at 30mph in Dearborn, Michigan. 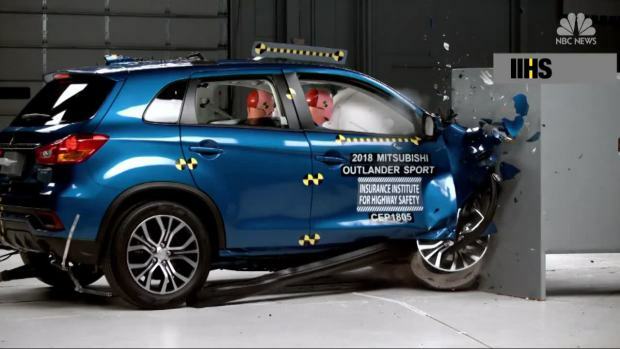 Two midsize SUVs received a “poor” rating in the latest round of crash tests, the lowest safety rating that the Insurance Institute for Highway Safety (IIHS) issues. Both the 2018 Ford Explorer and 2018 Jeep Grand Cherokee received “poor” grades because of their inability to prevent injuries during a front-end collision with an object or another car at a speed of 40 mph, according to CNBC. "Somebody who is considering buying a brand new SUV, I would recommend that they choose something other than the Grand Cherokee or the Explorer," Dave Zuby, senior vice president of vehicle research at IIHS, told CNBC. "There are clearly better choices out there especially if you are concerned about the safety of your family." The 2019 Kia Sorento, 2018 Volkswagen Atlas and 2018 GMC Acadia received “good” overall ratings, the highest mark the agency issues. New ratings released Wednesday for seven small SUVs reveal surprising results, with some models ranking poorly in crash tests.